Essex weatherboard pub with accommodation, log fires, oak beams and traditional home-cooked food, next to the River Crouch. There is a separate (non-smoking) 28-seat restaurant. Large conservatory (38 seats) opening onto beer garden. Six letting bedrooms available in courtyard annexe. Seats 90. Full licence. 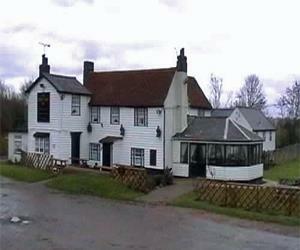 The Ferry Boat Inn is situated in the picturesque riverside village of North Fambridge, Essex. It can be reached easily by road, train or boat. Fambridge station is approximately half a mile from the inn. Fambridge is on the Southminster branch line with direct trains into London, Liverpool Street during the day Monday to Friday but you will need to change at Wickford first thing in the morning, during the evening and at weekends. The service is generally reliable but can be infrequent particularly at weekends so it is worth checking the timetable on the National Express East Anglia website before travelling.